Beloved and I had afterbrunch at Caution Hot some days ago. 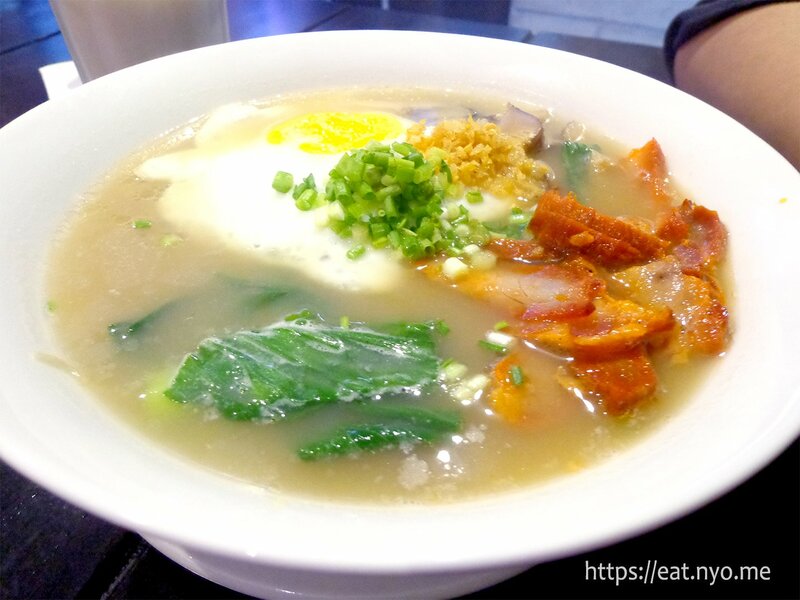 This noodle place has been around Magiting Street, just adjacent to Maginhawa Street, and we’ve been passing it for quite a few times already. There’s always a queue, so we didn’t bother. After learning they serve noodles, and finding that there’s a bit less of a queue than usual, we opted to try it out. The place was built in a shipping container, similar to many places that pop up recently especially on food parks. It’s also packed full, and pretty hot—not because of the food, but because the air conditioner broke when we went. It’s not that stuffy, so we decided to stay. Their menu is a bit different from the usual Chinese mami and dimsum places. Here, you pick what toppings you want, either All-Veggie, Pork Asado, Beef, or Seafood. This decides how much your bowl is. 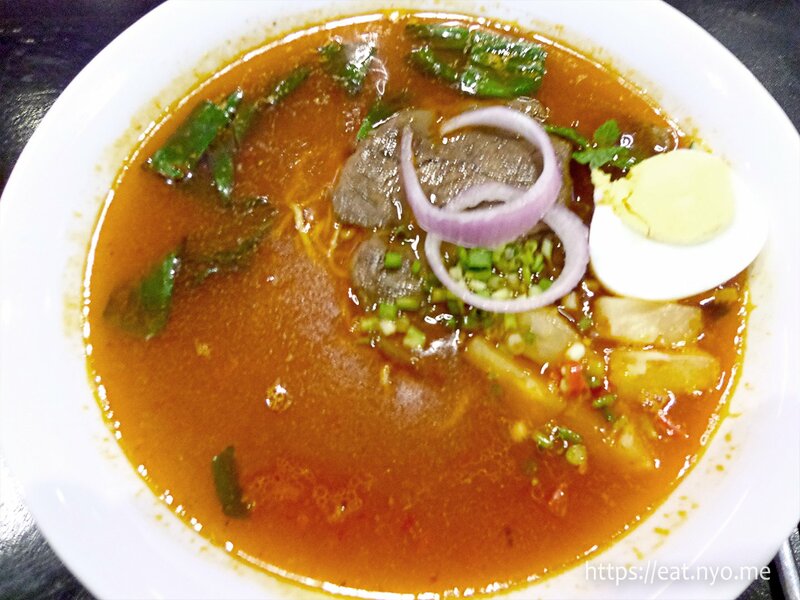 Then, you choose the broth from Szechuan, Asam Laksa, or Classic. After that, you choose between Wheat or Egg Noodles. Finally, you choose the “burn” level, from zero to four. Blasphemously, I got their Pork Asado Classic with Egg Noodles (175 Php), no burn and Beloved religiously got their Seafood Asam Laksa with Egg Noodles, maximum burn (205 Php), burn level four. 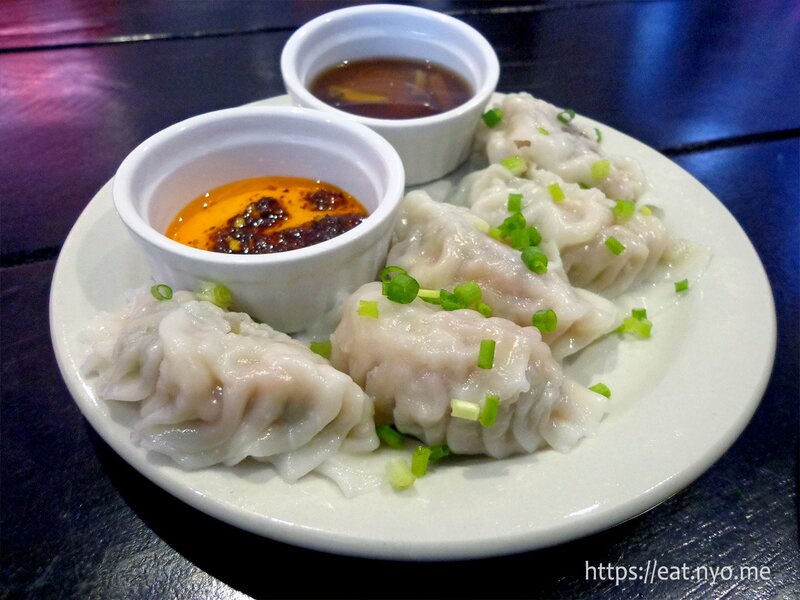 We also ordered their Kuchay-Pork Dumplings, 6 pieces (60 Php). Their Kuchay-Pork Dumplings were surprisingly good, and seemingly good value as well. While nothing too special, they were pretty packed with the aforementioned pork and kuchay as well as topped with it. Since it’s Caution Hot, there’s chili along with black vinegar served along with them. My Pork Asado Classic with Egg Noodles arrived in a pretty big bowl. The generous amount of chopped asado went over the noodles and other toppings consisting of mushrooms, usual Chinese greens, and a single fried egg. The soup was quite savory, but nothing special when compared to your other Chinese mami houses. The noodles were plentiful. Actually, everything is plentiful. It’s not bad, not that good, but it’s certainly plenty for the price. Beloved’s Seafood Beef Asam Laksa with Egg Noodles, maxium burn was much more sinister looking than mine. Also, unfortunately, the seafood turned to beef, somehow mixed up our orders. We didn’t return it because it took a while for our orders to come and we were already hungry. Hers had hard-boiled egg, cucumber strips, greens, and pineapple, the last she offendedly gave to me. She admitted that it was very hot, even for her, and quite sour despite her sour mood. Oh well, at least it’s a bit cheaper (185 Php), and the beef wasn’t too bad, especially texture-wise. It was similarly packed with noodles and toppings as my order. If the mix-up didn’t happen, I’m sure Beloved would’ve enjoyed her stay at Caution Hot. While I didn’t find anything spectacularly special about their food, I understood why there’s always a queue in this place. While a step up from places like Kowloon House in terms of prices, I feel if you take it in gram-per-peso, this is the better value. Beloved swears against this place, claiming it’s a typical Chinese noodle place that doesn’t have the common sense of not putting beef in laksa soup and that she’ll never step back here again. Asking me, this place is definitely worth a try, and I might consider coming back, but won’t consider queuing up for Caution Hot. Budget: ~200 Php per head. Recommended for: Budget hot noodle lovers. Not recommended for: Queue haters. Smart nomnomnom tip: Have them repeat your order.